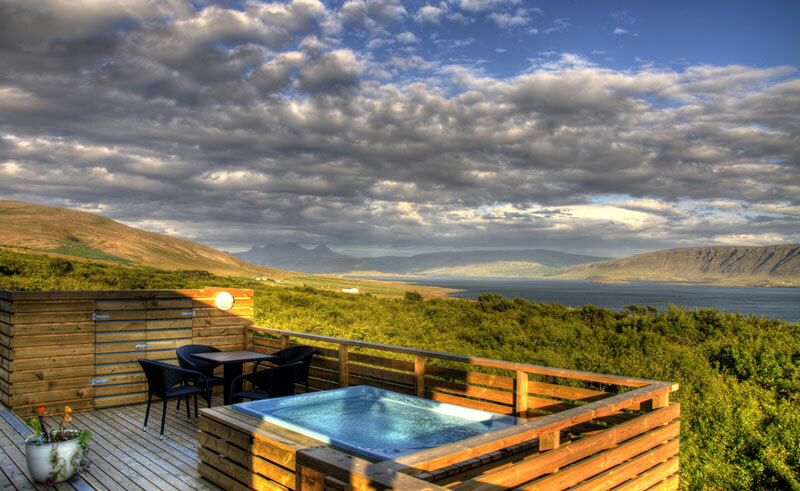 The lovely Hotel Glymur is found overlooking the stunning ‘Hvalfjordur’ (‘Whale Fjord’) and is a great place from which to view the aurora. 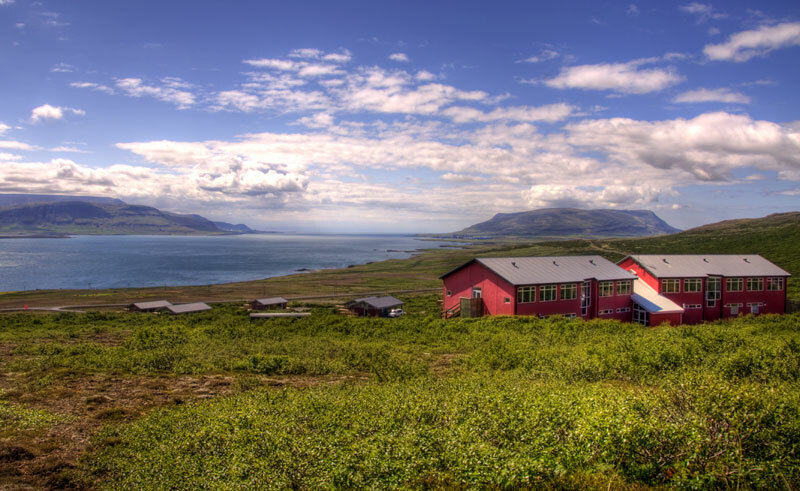 Located in the countryside but still only a short drive from Reykjavik, this stylish hotel has outdoor hot tubs and free wifi in all rooms. Within easy reach of the Snaefellsnes Peninsula, the area’s numerous waterfalls and glaciers, geothermals and geology are easily explored. 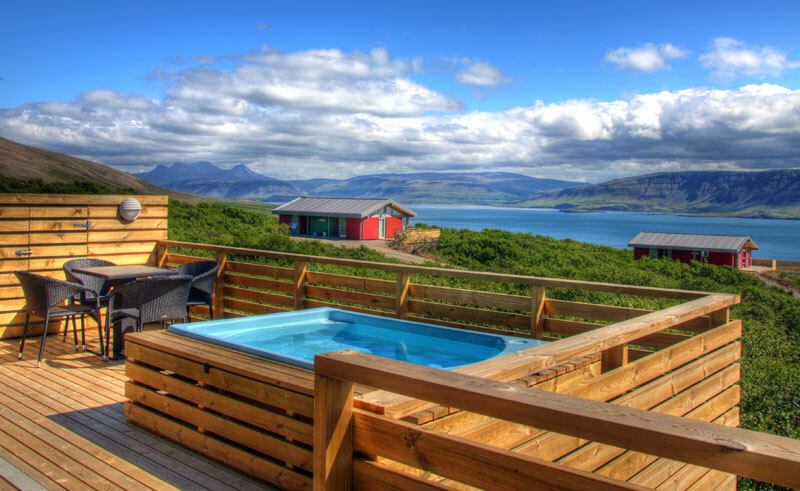 The outdoor hot tubs overlook the fjord, making this the perfect place to relax and enjoy your surroundings. 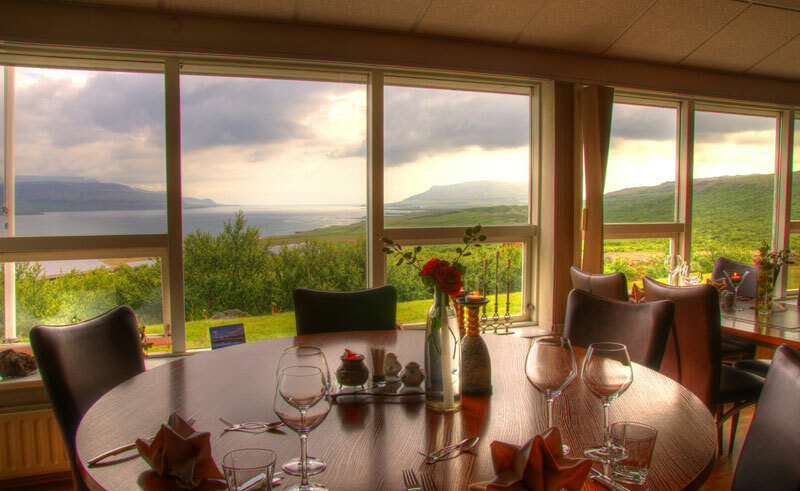 Icelandic cuisine is served in the hotel’s restaurant, whose large windows face out towards the fjord. A variety of drinks are available in the bar and packed lunches can be prepared on request. 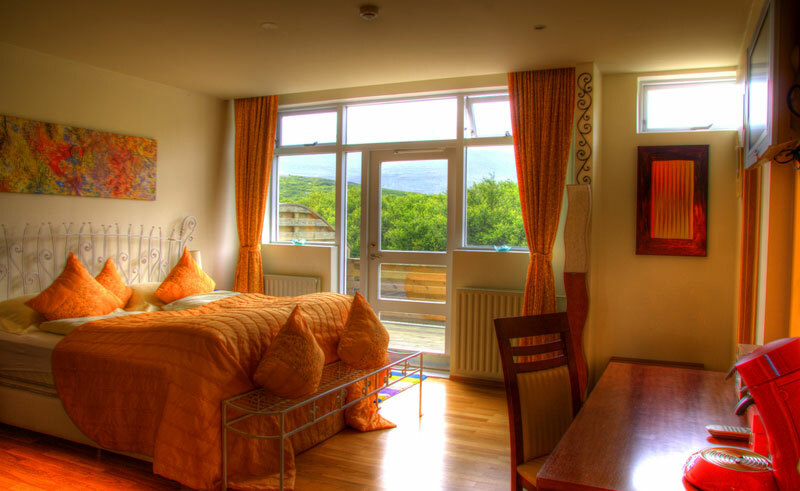 Offering a number of room types, all include wifi, TV, hairdryer and coffee machine. 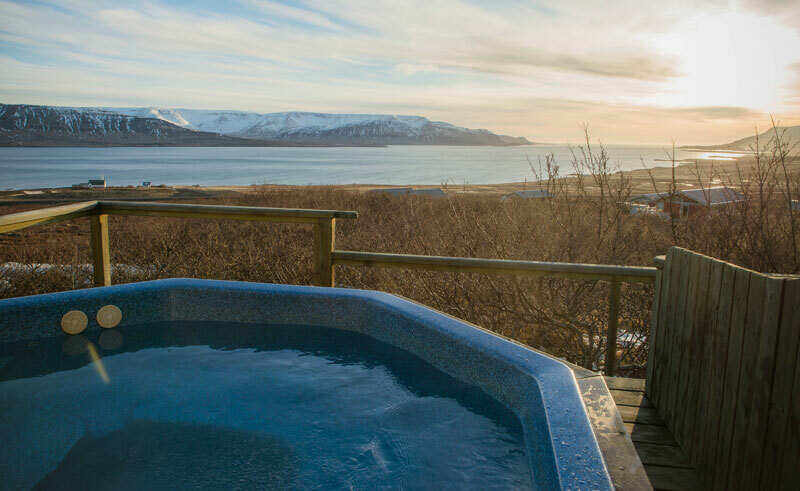 The suites also feature a massage bath tub and adjustable beds and were named after the famous 16th century poet and his wife, Hallgrimsstofa and Gudridarstofa. Occupying two floors, there is a living area and bathroom on the ground floor and an upper sleeping area. Each room has been specially designed with Italian leather furniture and one-of-a-kind art pieces. 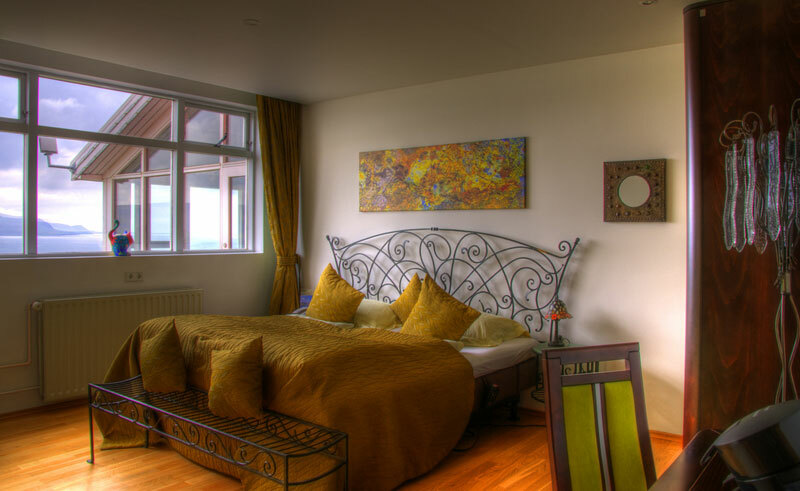 Every room has a magnificent view either overlooking the fjord or the mountains. The rooms are approximately 30 sqm. Hallgrimsstofa Suite – a 46 sqm suite with a massage bath tub, 20” flat screen TV in the bedroom and a 28” TV in the living room, adjustable beds with massage, espresso machine and stereo equipment (CD and radio). Named after a famous 16th century poet that lived in the church close to the hotel. Gudridarstofa Suite – a 37 sqm suite with a massage bath tub, 20” flat screen TV, adjustable beds with massage, espresso machine and stereo equipment (CD and radio). Named after the famous 16th century poet’s wife. All rooms and suites have high speed wireless internet access, flat screen TV with around 10 channels including a 24-hour news channel and a movie channel, telephone, a hairdryer and a coffee machine. The villas are designed in two sizes with emphasis on elegance and style. 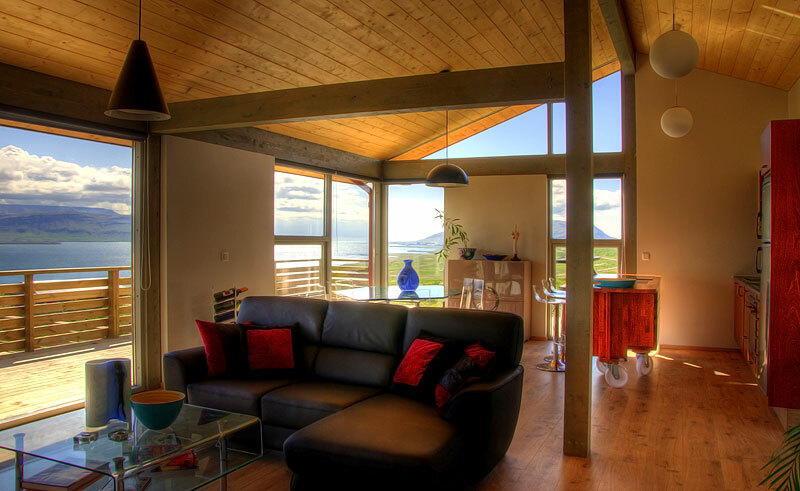 The decor takes its inspiration from the colours of nature and guests can enjoy the spectacular view overlooking Whale Fjord through grand windows facing south. Each villa is equipped with state of the art appliances, leather sofas, large screen TV, dining table and beautiful art pieces to create the unique theme of each villa/house. Dining facilities cater for 4–6 persons. The spacious bedrooms are all en-suite with large beds, nightstands and chests, fine leather chairs, tables and flat screen TV. The sunny verandas are equipped with hot thermal Jacuzzis and outdoor furniture. Room service and catering is available for meals and drinks from the hotel’s restaurant and bar. This self drive stays in the rural west with a good chance of seeing the aurora.